1. 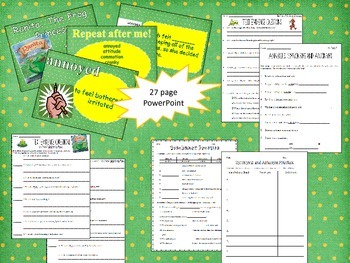 Vocabulary PowerPoint- 27 slides to introduce, review, and use vocbaulary terms in sentences. 2. Vocabulary Practice Page- You can use this page for review or assessment. 4. 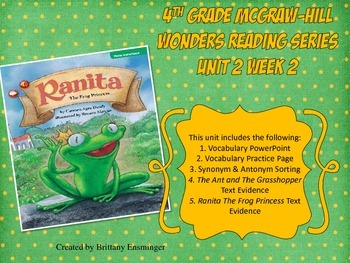 Ranita The Frog Princess Text Evidence Questions- 17 questions that require the student to provide page numbers for the answers they have given. 5. Synonym and Antonym Sorting Practice- There are vocabulary cards for the students to fill out a chart. Please rate this product and enjoy!